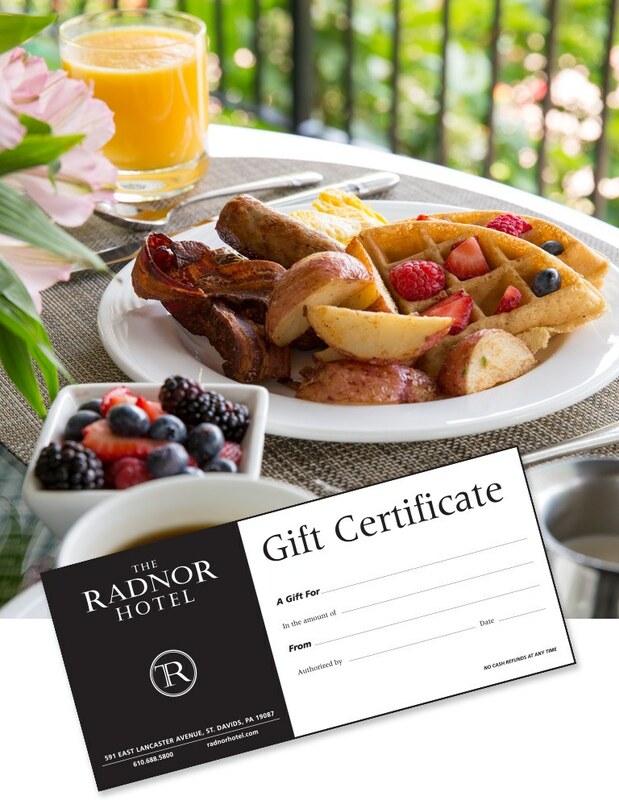 A Gift Certificate to The Radnor Hotel or Glenmorgan Bar & Grill is a great idea!  Surprise someone with a Brunch for Two, an Overnight Stay, or select any gift amount and give them the gift of choice. Whether they decide to enjoy Breakfast, Brunch, Lunch, Dinner, or Bar Bites and a few craft brews at the bar, they’ll have a wonderful experience. 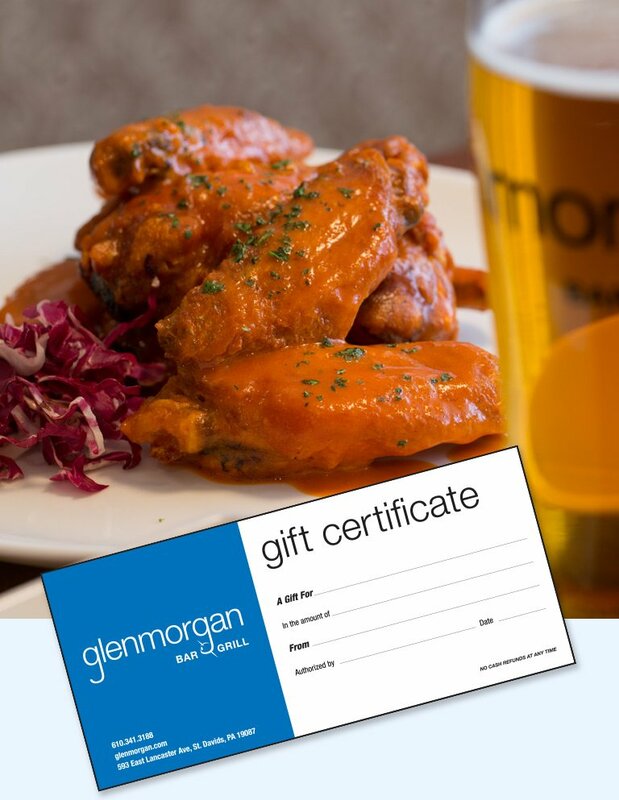 Gift Certificates may be purchased online below or in person at the front desk. Stop by anytime. Orders are fulfilled by The Radnor Hotel and ship within 2 business days via USPS Priority Mail with Delivery Confirmation.